I have a lot of admiration for Drs. Edward and May Mellanby. A husband-and-wife team, they discovered vitamin D, and determined that rickets is caused by poor calcium (or phosphorus) status, typically due to vitamin D deficiency. 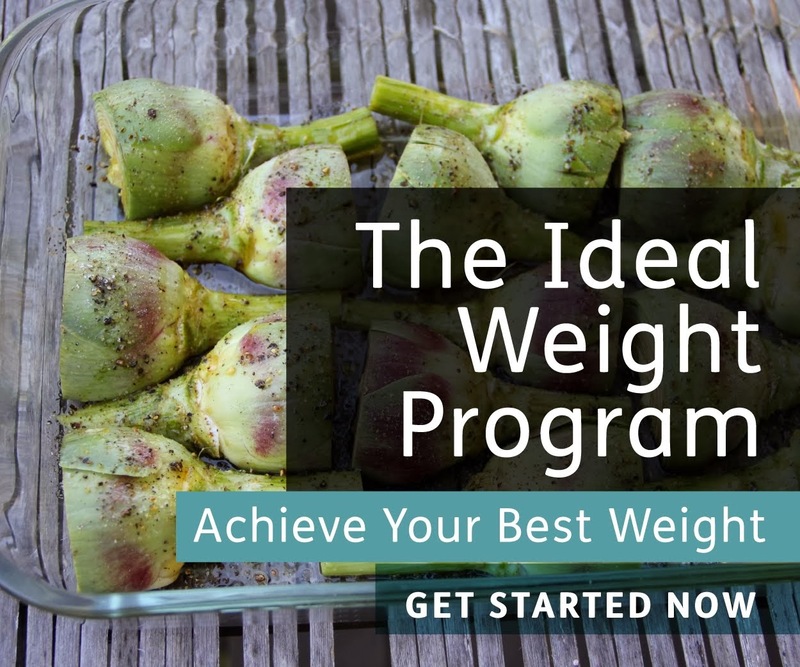 They believed that an ideal diet is omnivorous, based on whole foods, and offers an adequate supply of fat-soluble vitamins and easily absorbed minerals. They also felt that grain intake should be modest, as their research showed that unsoaked whole grains antagonize the effect of vitamins D and A. Not only did the Mellanbys discover vitamin D and end the rickets epidemic that was devastating Western cities at the time, they also discovered a cure for early-stage tooth decay that has been gathering dust in medical libraries throughout the world since 1924. It was in that year that Dr. May Mellanby published a summary of the results of the Mellanby tooth decay reversal studies in the British Medical Journal, titled "Remarks on the Influence of a Cereal-free Diet Rich in Vitamin D and Calcium on Dental Caries in Children". Last year, I had to specially request this article from the basement of the University of Washington medical library (1). Thanks to the magic of the internet, the full version of the paper is now freely available online (2). You don't need my help to read the study, but in this post I offer a little background, a summary and my interpretation. I'll start with diet 1. Children on this diet ate the typical fare, plus extra oatmeal. Oatmeal is typically eaten as an unsoaked whole grain (and soaking it isn't very effective in any case), and so it is high in phytic acid, which effectively inhibits the absorption of a number of minerals including calcium. These children formed 5.8 cavities each and healed virtually none-- not good! Diet number 2 was similar to diet 1, except there was no extra oatmeal and the children received a large supplemental dose of vitamin D. Over 28 weeks, only 1 cavity per child developed or worsened, while 3.9 healed. Thus, simply adding vitamin D to a reasonable diet allowed most of their cavities to heal. Diet number 3 was the most effective. This was a grain-free diet plus supplemental vitamin D. Over 26 weeks, children in this group saw an average of only 0.4 cavities form or worsen, while 4.7 healed. The Mellanbys considered that they had essentially found a cure for this disorder in its early stages. ...instead of cereals- for example, bread, oatmeal, rice, and tapioca- an increased allowance of potatoes and other vegetables, milk, fat, meat, and eggs was given. The total sugar, jam, and syrup intake was the same as before. Vitamin D was present in abundance in either cod-liver oil or irradiated ergosterol, and in egg yolk, butter, milk, etc. The diet of these children was thus rich in those factors, especially vitamin D and calcium, which experimental evidence has shown to assist calcification, and was devoid of those factors- namely, cereals- which interfere with the process. Carbohydrate intake was reduced by almost half. Bread and oatmeal were replaced by potatoes, milk, meat, fish, eggs, butter and vegetables. The diet is reminiscent of what Dr. Weston Price used to reverse tooth decay in his dental clinic in Cleveland, although Price's diet did include rolls made from freshly ground whole wheat. Price also identified the fat-soluble vitamin K2 MK-4 as another important factor in tooth decay reversal, which would have been abundant in Mellanby's studies due to the dairy. The Mellanbys and Price were contemporaries and had parallel and complementary findings. The Mellanbys did not understand the role of vitamin K2 in mineral metabolism, and Price did not seem to appreciate the role of phytic acid from unsoaked whole grains in preventing mineral absorption. Breakfast- Omelette, cocoa, with milk. Dinner- Potatoes, steamed minced meat, carrots, stewed fruit, milk. Tea- Fresh fruit salad, cocoa made with milk. Supper- Fish and potatoes fried in dripping, milk. Breakfast- Scrambled egg, milk, fresh salad. Dinner- Irish stew, potatoes, cabbage, stewed fruit, milk. Tea- Minced meat warmed with bovril, green salad, milk. Supper- Thick potato soup made with milk. The tests do not indicate that in order to prevent dental caries children must live on a cereal-free diet, but in association with the results of the other investigations on animals and children they do indicate that the amount of cereal eaten should be reduced, particularly during infancy and in the earlier years of life, and should be replaced by an increased consumption of milk, eggs, butter, potatoes, and other vegetables. They also indicate that a sufficiency of vitamin D and calcium should be given from birth, and before birth, by supplying a suitable diet to the pregnant mother. The teeth of the children would be well formed and more resistant to dental caries instead of being hypoplastic and badly calcified, as were those in this investigation. If I could add something to this program, I would recommend daily tooth brushing and flossing, avoiding sugar, and rinsing the mouth with water after each meal. This diet is capable of reversing early stage tooth decay. It will not reverse advanced decay, which requires professional dental treatment as soon as possible. It is not a substitute for dental care in general, and if you try using diet to reverse your own tooth decay, please do it under the supervision of a dentist. And while you're there, tell her about Edward and May Mellanby! In addition to the phytic acid problem, celiac disease independently leads to tooth decay through interference with mineral and vitamin D absorption. My celiac daughter is kind of addicted to gluten-free oatmeal for breakfast, and prefers it unsoaked. So far her teeth are okay but she's not even three. I may start pushing the soaked oatmeal again, though it's kind of a pain to make - it takes a lot of soaking, plus buckwheat, plus it tastes sour. She's allergic to eggs - wish she could have that for breakfast instead. How does cleaning the teeth fit with traditional cultures? I assume they would pick things stuck in their teeth, but I haven't come across any specific mentions of teeth cleaning in my readings, other than to point out the lack of it. Diet 3 is very much like what I've tried to feed my 12yo son, who remains cavity-free despite very lazy tooth brushing and flossing habits. He hasn't had fluoride treatments or used fluoridated toothpaste since age 5 or 6, nor had sealants applied, but I do take him in for an extra (third) dental cleaning appt each year - so far so good. He and I have been eating gluten-free for almost two years, and that's been fairly easy, as I'd already reduced wheat and grains a lot in our household. He does try to be compliant with GF, at least so far. But it is a challenge to balance his growing independence with my dietary ideals as he gets older, of course, as there is a 7-Eleven right around the corner with lots of sugary snacks and Slurpees, not to mention fried chips. And many of his friends' homes have foods available in their homes quite unlike what I provide in our home. If available, he'll eat "empty" items like GF bread to excess, pushing more nutrient dense foods out of his diet, so I "run out" of some items fairly often just to make sure he isn't overindulging in foods. I'm trying to interest him in participation in some of his own and the family's food prep so that he has the tools to eat well when he eventually is out on his own, which is is a huge challenge. Keeping my fingers crossed that enough of this sticks with him. It's the eternal parents' tightrope walk - trying to positively influence without overdoing it and instead creating rebellion. Regarding traditional cultures and their dental hygiene, there have been many that used chewing sticks, often from the Salvadora persica arak, or Peelu, tree. There is a company that sells dental care products based on it. The gum is not enjoyable, unfortunately. I would rather chew on a stick. I am one of those who are attempting to reverse decay through diet. Thankfully, I have an excellent holistic dentist who's for it, except for two cavities that he says are too far advanced. I've decided to go against his advice for now and take a "wait and see" approach. I have extremely severe chemical sensitivities (think "boy in a bubble") that are life threatening, so with all the facts before me I've chosen to risk further decay before risking fillings. A major setback is the fact that my vitamin D levels started extremely low--5--due to some extreme health issues that kept me from getting vitamin D into my system. Doctors tried for years to find a form my body would tolerate, whether foods or custom compounded alternatives, but every form would give me severe, intractable pain. I would dutifully withstand it for weeks before calling it quits. It confused everyone, because vitamin D is supposed to relieve pain. Anyway, we were at the point of being ready to try custom compounded vitamin D injections and strong pain medication to deal with my typical side effect when I head of fermented CLO and decided to give that a shot first. Amazingly, it worked. There was only minor pain for a few weeks and now I'm able to tolerate it with no problem at all. This after years of trying every imaginable way to get my system to accept D.
I'm taking 4.5 to 6 ml a day, which is two to three times the recommended serving size and results in several times the RDA. I settled on this amount based on gradually increasing it until I reached a point that felt like "too much" and then backed down to where it was comfortable, which turned out to be about 1.5 ml with each meal. I've been doing this for a year or so, but I know it takes the body a while to rebuild vitamin D stores when they've been so depleted. I'm being urged to not even bother with testing them yet but I'm eager to know how far I've come so I can re-evaluate my position on the two advanced cavities. So far, I know the cavities are still there because of the pain. My diet is beef and potatoes 3 or 4 times a day, cooked in coconut oil. I consume pecan butter mixed with honey as "emergency" food when my blood sugar dips too low or I need to eat something fast and don't have enough energy to make something. The pecans have been soaked and dried before being ground and I remove the oil from it first, as it causes adverse effects for me. I also consume X factor butter oil. I'm taking a supplement of calcium and magnesium, as well as putting a multi-mineral supplement in my drinking water (though lately I've been switching to local well water, which comes from a confined aquifer and I figure is nicely mineralized). This is the whole of my diet and has been for the past year or so, due to severe food allergies and intolerances. Unfortunately due to ill health there are times I cannot clean my teeth. A few years back there were a couple years I only managed to brush once or twice a year (I was bedridden and there were reasons another person could not have done it for me). That, in addition to my total lack of vitamin D (no daylight or sunlight exposure) is probably why my teeth are so bad today. I've been brushing with (well dissolved) salt and then rinsing my mouth with ground cloves. On days I cannot manage to brush I just do the cloves, sometimes also rinsing with salt. I think the probable outcome is that the minor cavities will heal but the advanced ones will not. However, my attitude is that we won't know unless we try and I'm a willing guinea pig at the moment. I hope this is helpful to someone. When I have the results I'll comment again. So sorry about the double comment; computer issues. Back in June, I noticed a cavity on a tooth for the first time in my life. Despite having very little enamel on my teeth, I've never had one. Long story short, it appeared when I got lax on the vit. D supplementation. Nowadays, I use it as a vitamin D meter. About two days after I begin anew, it goes away. Every. Single. Time. Stephan, what's your opinion on calcium? Is it necessary to take with Vitamin D for absorption? For some reason I have the understanding that calcium is over-rated but I can't remember why I believe that- or where I read it. Do you know the scoop on calcium? Interesting that sugar, jam and syrup intake had nothing to do with either the onset or healing of cavities. Doesn't this put to rest the age-old theory that sugar causes tooth decay? If you extrapolate tooth decay to also mean osteoporosis and other bone wastage and deformation syndromes, you could say all grains, nuts and seeds (also full of phytic acid) are responsible for almost all of the diseases of civilization discussed in Price's book... strangely NOT sugar! The only HG I know of that eats nuts as a main staple of their diet is the !Kung of the Kalahari, though I don't know the Mongongo nut's phytic acid content or how they could prepare them to avoid this. Also, since they've been kicked off the good hunting grounds for so long, they may not have been eating them for many generations. The !Kung seem a bit bony but strong and healthy. I don't want to see sucrose vindicated, but man I must admit it seems the flour was what did in the indigenous peeps of Price's book! I may have asked this before, but do you know whether vitamin C can allow minerals other than iron to be absorbed in the presence of phytic acid? I know it does that with iron, but I searched the literature and couldn't find any information that it does or does not do the same with other minerals. I do know that vitamin C can also help you absorb calcium and, I think, zinc (not specifically in the presence of phytic acid) - I'm wondering if this is a general effect with minerals and holds true when phytic acid is present. In my 20s and early 30s, I used to take a lot of vitamin C and had good teeth in that era, despite rarely going to the dentist. (I did brush and floss religiously.) When I did go once after a 5-year absence (not that I recommend this), they said I had no plaque. (By my late 30s, the charm had worn off and I got plaque like most other people.) Vitamin D wasn't "in" yet, so I only got a small amount of that in my multivitamin. (I also religiously used sunscreen.) I ate lots of phytic acid in the form of tofu and whole grains. Yes, I was a sucker for the standard advice. This post is coincidental as I've been doing research into the low bone mineral density I apparently have acquired after following a low card high protein diet. I remember finding your old post on this topic a while back interesting but reading it now there may one thing that is missing form the above considering my recent research, namely the other alkaline minerals, magnesium and potassium. If you look up something called the Potential Renal Acid Load, a measure of the acidity of food, you will find that protein is very acid and it is mostly buffered by potassium and magnesium, calcium has a lesser effect. Protein has been shown to lower bone mineral density through this acidic effect. a large amount of potassium and magnesium, potatoes. A baked potato has more potassium than virtually any other food. I take 4000 IU of vitamin D per day, live in a hard water area and take calcium supplements but I still developed low bone mineral density when I started dodging potatoes. I eat low carb, too, but my bone mineral density *increased* while eating this way (since Jan 2004). At age 48 and approaching menopause, bone mineral density is very important to me. Low carb eating can be done many different ways, with vary different effects. When I lowered my carb intake, I definitely increased my protein intake (which prob had been too low in my late 20s and early 30s) but I wouldn't say I eat high protein at all - I aim for complete (animal) protein in adequate amounts at each meal - more of my calories are from natural fats than protein. I also regularly make and consume bone broths (not just in soups, but also in sauces, and added to moisten mashed cooked veggies and when reheating leftovers). Bone broths which are full of easily absorbed minerals. Many of the meat cuts I prepare are bone-in cuts and braised or simmered in a slightly acidic sauce (from vinegar, wine, or citrus juice). I take some supplemental magnesium, but I haven't taken calcium supplements since adopting a more Real Food/Whole Food approach about two years after lowering my carb intake. I do consume full fat grassfed dairy (esp butter, cream, & aged cheese) which is rich in Vit K2 (see Stephan's earlier posts on K2 if you haven't already read those). I also avoid wheat gluten and most soy (except occasional and small amounts of a traditionally brewed wheat-free shoyu soy sauce). So I don't think low carb per se reduces mineral density. Perhaps too much meat is an issue, but it could also be simply a lack of minerals in an absorbable form or a lack of the dietary co-factors that enhance mineral absorption and utilization. I would consider osteoporosis to only matter if it leads to an increase in fractures. Just like atherosclerosis only mattering if it leads to an increase in heart attacks. In both cases, the two are not necessarily fatally linked. Along with Gunther Gatherer, I noticed that sugar intake was apparently not reduced in this dietary protocol. I have for some years wondered about the "sugar causes tooth decay" hypothesis, which rests on the idea that sugar promotes bacterial growth which increases the acidity of the mouth causing damage to teeth. But if acid is the cause, then acidic fruits, vinegar, and so on are far more corrosive immediately. Also, salt provides chloride ions, which in the mouth would generate HCl...in his book Salt and the Seven Deadly Ills a chemist by the name of Karl Sporek actually hypothesized that dietary NaCl is the main corrosive factor affecting tooth enamel, and stated that the claimed mechanism for sugar causing tooth decay doesn't make sense. Typically, sugar is so briefly in the mouth that the idea that it can significantly increase the acidity of saliva by promoting bacterial growth lacks credibility. I think this research does undermine that whole idea, and shows that the combo of high phytate/gluten/grain intake and low fat-soluble vitamin status is the main driver of tooth decay and by extension, most likely of osteoporosis in the general population. "oil pulling" -- swishing about a tablespoon of coconut oil in the mouth for twenty minutes or so on arising. The oil is high in lauric acid, which apparently works to kill off the mouth bacteria that cause cavities. For more info, Google on: "oil pulling"
The Zellies system in its full glory requires a number of products and a number of steps, but it can be applied in various partial measures. Oil pulling is conceptually quite simple. I'm extremely skeptical that NaCl causes tooth decay. It doesn't seem to cause problems in marine mammals, and in carnivores that eat nothing but salty red blooded animals. Also, when the Cl from NaCl makes HCl, then the Na makes NaOH, the pH is unchanged, and therefore acidic conditions are not created. Do you have any suggestions on how to get kids interested in food and cooking - and how to develop an awareness or more importantly, an aversion to unhealthy foods? I think the oil pulling works great, but you don't need to make a big production out of it. I use coconut oil. I just swish it around for a few minutes in my mouth and then spit it out. Simple. I am skeptical about claims that oil pulling will cure all manner of things, but research does suggest oil pulling kills germs in the mouth. Many oils, like coconut and others, are natural antibiotics so this is not surprising.Oil pulling is very gentle on the teeth and mouth and very easy to do. Like Don and gunther gatherer above, I too found it very interesting that sugar was still part of the cavity-reversing diet. In fact, I remembered reading something on Ramiel Nagel's site www.curetoothdecay.com, where he says that it doesn't make sense that refined sugar would cause cavities by encouraging bacterial growth, as the refining process causes sugar to actually disable the growth of any microorganism. So the effect of sugar, if any, on tooth decay would be from a mechanism other than it encouraging bacterial growth. Of course, this is Nagel's theory, and while it makes sense to me, I couldn't find any further information on this. I wonder if anyone can confirm any of this? BTW Stephan, I've been a devoted reader of your blog since November 2008 -- first time commenting, though! Great stuff. I have a post on May Mellanby, and a link to a pdf of the chapter "Dental Structure and Disease" by Edward Mellanby. An excellent summary of May Mellanby's research. Like you, I've also been digging around library basements reading old research on dental health, vitamin D, phytic acid, arrested caries etc. There was a lot of excellent work done back in the 20's and 30's. I'm left wondering why has all this research been largely forgotten? 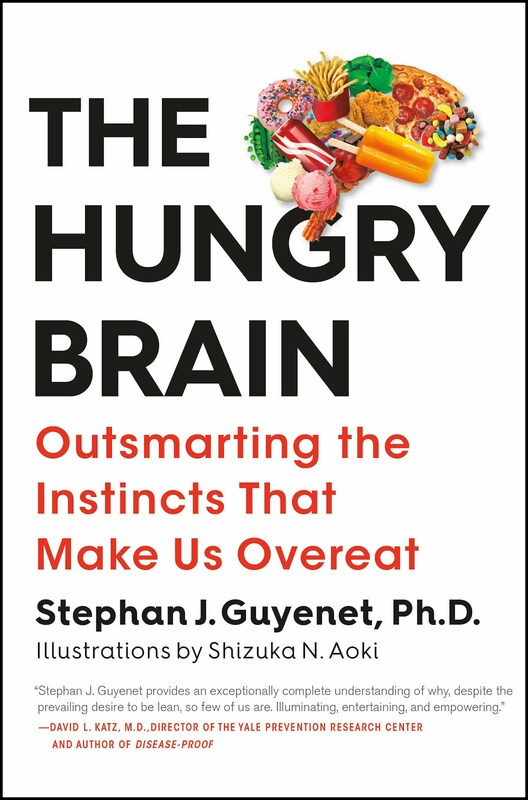 "Instead of cereals- for example, bread, oatmeal, rice, and tapioca- an increased allowance of potatoes and other vegetables, milk, fat, meat, and eggs was given." If tapioca = cassava = manioc = manihot esculenta then this is not a grain, but a starch. I wonder if maybe it was excluded because in the diet of the subjects tapioca would have been prepared with sugar. This is really interesting to me, since I manage a dental blog. I'm glad you mentioned the importance of brushing and flossing as well, because even if a person eats healthfully, food (especially those high in glucose and carbohydrates) can still get stuck on the tooth's surface and between the teeth. This will start decaying the surface if it's not removed, regardless of the enamel strength. I also noticed that milk is suggested for every meal on the list. The calcium it provides is important for building bone health and strong teeth, but many people can't drink milk. Does this plan suggest an alternative for those with milk allergies or lactose intolerance? The common existence of pits and grooves on tooth surfaces are often mentioned as factors that increase the likelihood of dental caries, supposedly because they tap food and harbor bacteria. This was one of the arguments presented to me to sell me on dental sealants for my son. Any truth to this? I'm wondering, for instance, if surface pits and grooves are common because they form due to nutritional deficiencies, and therefore are inherently weak with less resistance to decay, food and bacteria notwithstanding. the dentalessentials - you have a great blog. Thanks for linking to it. I've seen some of that research before, thanks to Stephan's blogging last year about Mellanby's research. I was very happy to be able to find an ex-University of London library 1934 edition of Mellanby's book when I was in England last March. I'll definitely be pointing people to your blog. Sounds like you've found an effective way to soak your oatmeal. I wonder if adding a little baking soda to it during cooking would cut the acidity. They generally didn't make much effort to clean their teeth. Sorry to hear about your health struggles; it sounds like you're making progress. Thanks, I didn't catch that. 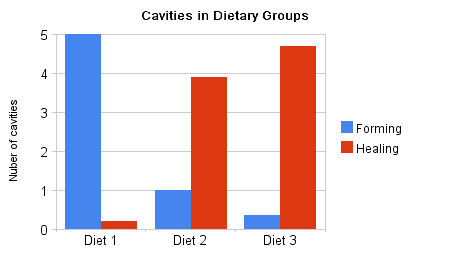 I'm very skeptical that we need to eat a high calcium diet to have healthy teeth and bones. Dairy is exceptionally rich in Ca, but most cultures don't traditionally use it. Hunter-gatherers eat less calcium than we do today but they have stronger bones. I think sugar is probably a factor, but it won't cause extensive decay in the context of a good diet and good D status. I've asked that question as well, but the only data on C and mineral absorption I've seen is for iron. I don't think it works for other minerals. I think exposure is important. Kids aren't necessarily going to care about cooking and healthy eating, but the habits they're exposed to will remain with them for the rest of their lives. As far as developing an aversion to unhealthy foods, that's a tough one. I'm not sure how you'd go about it. Nice blog! I added it to my reader. Good point, tapioca isn't a grain. I think that's just a little error on their part. I think you can do it without milk, you just have to be more careful about avoiding phytic acid and getting minerals from other sources. Tooth size/shape has strong genetic influences, but I don't know how diet affects it. In paleo times, the grooves would be worn flat by the late 20s (just a tangent). I think it's probably only a liability if you're already susceptible to decay. The Mellanby diet emphasizes milk, and for good reason. The milk at that time, however, was like today’s milk in name only. First, people then consumed full fat milk rather than the skimmed milk we modern people have been erroneously taught will keep our hearts forever young. Second, and more important, the milk then was raw milk rather than the pasteurized (i.e., cooked) milk that the FDA erroneously assures us is the only safe form of milk to drink. Raw, whole milk contains a plethora of enzymes that have not been destroyed and probiotics that have not been killed. And nearly everyone who is lactose intolerant can tolerate raw milk because the digestive enzyme lactase has not been destroyed by pasteurization. "The Untold Story of Milk" by Ron Schmid is an excellent discussion of all the milk issues and has a lot to say about the saturated fat/ heart disease myth also. On the whole sugar & dental decay thing, there are many papers with rats and the cariogenic potential of many food items. Paul, I think the difference between today's milk and the milk of the early 20th century is a very good distinction (similar to the difference between today's dwarf variety wheat hybrids and wheat of yesteryear, or the traditional soaking/sprouting/fermentation preparation of grains to the quick industrial preparation today). However, a lot of people were consuming pasteurized milk by Mellanby's time, especially after the nasty distillery dairies and adulterated cheap milk consumed by the urban poor in the late 19th century and early 20th century gave raw milk a bad reputation in some places. Even so, pasteurized milk wasn't ultra-pasteurized or UHT like it often is now (esp organic milk, cream, and half & half), it wasn't skimmed, and it was delivered regularly from fairly local dairies with on-site or local creameries. Many of the dairy herds probably were still feeding on pasture at least much of the year. Even well-educated people think milk and dairy products are hardly processed and handled; they've probably be horrified if they really knew how extensively milk and other dairy products are handled, manipulated, adulterated, transported long distances, and stored for lengthy times. Modern dairy processing plants look like oil refineries in many ways. The same is true for OJ in cartons (which many people drink instead of milk now that OJ is available fortified with calcium and pushed as a Veg/Fruit serving), EVEN if the label says Not From Concentrate. With current aseptic transport and storage technology, NFC OJ in cartons and bottles could have come from Brazil on an OJ aseptic tanker ship or stored in Florida for up to a year in a huge aseptic tank "farms", thanks to food chemists' "flavor packs", which are not required to be listed on ingredient labels). Ugh, what a joke pasteurized OJ in a carton is on unsuspecting consumers, at a premium price, too. Calcium from bone broths and bone-in meat cuts with meat juice reduction sauces are good non-dairy sources of easily absorbed minerals. Other huge difference between the milk of today and that of a century ago are cattle breed and cattle feed. The numbers of cows in the U.S. today is roughly the same as it was a century ago, but cows today produce six times as much milk. The increase in milk production is in part due to breeding, but largely due to feeding grain (corn and soy beans) and growth hormones. Soy feed greatly increases milk production but adversely effects liver function and fertility. As a result cows in factory farms now average only two calves in their lifetime compared to a dozen calves yielded by their pasture fed cousins. Thus the herds of factory farms are no longer self sustaining. A century ago cows that produced milk with lots of fat were highly prized. Today, the 95% of milk cows in the U.S. are Holsteins which produce large quantities of milk with low fat content. So most milk today from factory confinement operations is pasteurized, ultra pasteurized and skimmed of of what little fat it contains, and it comes from rather unhealthy animals. Thanks Anna and Jack C for elaborating on raw milk and related issues. I would like to veer off that a bit and talk about reductionism and nutrition science. Much has been said or implied about the adherence of nutrition research to the principle of reductionism and how that mimics the advance of science in general. I’d like to discuss two issues: 1) Does nutrition science need to be reductionist? 2) Is nutrition science ready to be reductionist? 1) Physics, for example, spent centuries in a form of non-reductionism until the right tool, quantum theory, came along to make true reductionism possible. Most of classical physics (pre 1900) is not reductionist in the sense of reducing the size of the assembly under study to get to an ultimate truth. Physicists understood that real-world objects could not be reduced to their component parts for study because those systems would be far too complex to analyze. Thus they considered ensembles of particles from which they could derive basic principles. Classical mechanics, classical electromagnetism, and especially thermodynamics and statistical physics all deal with the gross properties of assemblies of particles (e.g., the magnetic force due to an assembly of free electrons flowing through an assembly of copper atoms). Only in twentieth century quantum theory do we see the movement toward the strict reductionism that micronutrient research seems to revere. In quantum theory we look at the interactions of individual particles such as electrons and protons. Micronutrient research is very reductionist compared to the bulk of physics historically and even to much of modern physics. I am making an analogy between physics and nutrition science. In nutrition science, food (e.g., raw coconut oil) is analogous to an assembly of particles in physics (e.g., a length of copper wire). In nutrition science, a micronutrient (e.g., d-alpha tocopherol) is analogous to an individual particle in physics (e.g., an electron). Physics flourished during hundreds of years of non-reductionism before it evolved into true reductionism with the advent of quantum theory over a century ago. It would be foolish to suggest that the non-reductionism of Galileo, Newton, Maxwell, and Faraday was not real physics just because they all dealt with the gross properties of large bodies or assemblies of particles. Similarly it would be foolish to say that studying the effects of foods on humans is somehow less of a science than studying the effects of micronutrients. 2) The advance of the natural sciences has allowed nutrients to be studied at basic levels. Unfortunately the advance of human physiology and biology has yet reached the point where micronutrient research can be meaningfully wedded to the microfunctions of the human body. The human body is just too complex and poorly understood yet to be treated at such an elementary level. It makes much more sense to study the effects of foods on higher-level bodily functions than to put all our research dollars into micronutrient effects on microfunctions of the body. I believe we are in a period where more non-reductionist research is needed in nutrition before we have the right tools, or models of human biology, to advance to reductionism. Why can’t we have two branches of nutrition—classical nutrition and micronutrition—just as we have two branches of physics—classical physics and quantum physics? It's interesting, I was watching PBS special on Ancient Egypt a couple of weeks ago and researchers noted that the teeth of those who largely subsisted on bread had "worn down teeth". They assumed it was due to the friction of chewing the grains in the bread. All research now points to the phytic acid in these grains blocking absorption of calcium, magnesium, and phosphorous during the digestive process. I guess not all Egyptians used leavened bread leading to higher phytic acid content. Yeah, a nice theory but what about facts? I know a lot of people who lost weight on this sort of food (maybe without potatoes). But I don't know a single good story about teeth remineralization to adults. Some people claimed they cured decay but what does it mean? Did their rotten teeth become white? Or people say my teeth didn't improve but I feel better. ",,,I don't know a single good story about teeth remineralization to adults." Thanks thedentalessentials for the Mellanby link. I printed them both and gave them to two dentists. Weston Price mentions the natives of the Outer Hebrides had very fine teeth. Their staples were fish and oat products (oats at every meal). Whilst the papers focus on oats, fish and butter were also differences, and may help account for some of the differences observed. Omega 3s assist bone growth. Fish would provide vit d, minerals, and Omega 3s. Much better to be proactive about prevention than the ambulance at the bottom of the cliff! "JBG where are those stories? I can see only questions and answers (promises)"
Yes, the blog is a place where people get help with their problems. The stories turn up occasionally when someone comments as part of their lead-up about how great their progress has been. remineralization, and minimal operative intervention..."
Also, do you have any pictures showing the effects of xylitol after 6 months or longer on patients teeth. My husband is skeptical, this could convince him. I am sorry but I cannot access any good before and after but maybe we can use your upcoming experience as a start! Oh, really? So she wrote a book about a protocol she didn't even documented? I wish I was flooded with raw facts (especially from people who sing hosannas here) but as you can see there's a dead silence. So what is this delight about? Lukas, things are even worse in this instance than you describe. In Ellie's reply from which your quotes are drawn she gives two links which no longer go to where they're described to go (where evidence was promised). In any case, Ellie is just an individual with a passionate message, not a university researcher with proof. So, for your purposes, write Ellie off. There remains the consensus statement I mentioned, which speaks of remineralization as a taken-for-granted fact. The credentialed authors, organizations, and supporting practitioners listed there should be enough to establish at least a minimal presumption that the phenomenon is real. A bit more about Ellie. One of the links that doesn't work is to Testimonials and presumably was originally aimed at the same material as the Testimonials link I listed for Lukas. When reading the reviews of Ellie's book on Amazon, you can bring the reviews of interest toward the top by selecting Most Helpful First. And you JBG, have experienced this 'miracle'? The children in this study no doubt visited the dentist very regularly and were seen by highly competent and motivated dentists who descaled their teeth regularly. Most dental disease is of the gums rather than the teeth and results from a biofilm that sticks to the teeth and gums using a sticky polysaccharide which can ONLY be made from SUCROSE and no other sugar. So if you want to avoid plaque build up you can avoid sucrose. Some fruits have high levels of sucrose (yellow bananas, pineapples, peaches) others have none (grapes, raisins). Although Xylitol has some anti plaque properties it is likely to cause digestive problems if used at useful doses. I recently started using trehalose at the dose of 60gm per day in a diet that is grain free and has no added sucrose. Within 3 days my existing build up of plaque had disappeared and my longstanding gum inflammation was greatly improved. I experienced no digestive problems with the trehalose (although I sometimes do with certain foods), I hope others are able to try this and get similar results. 3 days Jay and your plaque disappeared. That's even more groundbreaking than dr Ellie/Zellie. I'm going to order 1 ton of trehalose for all the people in my village in Nigeria because we have a visit from Weston Price on Monday. Jay, I'm not clear on what you mean when you say, "Although Xylitol has some anti plaque properties it is likely to cause digestive problems if used at useful doses." Since you go on to talk about using 60g of trehalose, I presume you're thinking of similar amounts of xylitol. If so, note that Dr. Ellie's advice is for an order of magnitude less. She recommends dissolving an ample teaspoon of xylitol in a pint of water and simply sipping it throughout the day after eating. With such small amounts, digestive problems are unlikely. I had not previously heard of trehalose, and I am very interested in its properties. How did it come to your attention? Ie, what led you to believe it would have the powerful effect that you have told us you found it to have? Price provides radiographic evidence of healing teeth in "Nutrition and Physical Degeneration" as well. It's been known for about 100 years that teeth can repair themselves by laying down new dentin. Specialized cells called odontoblasts are the tooth equivalent of bone cells and they are highly responsive to nutritional status. I bought some trehalose for my mother (who is in a nursing home with dementia) because she had benefitted so much from the addition of MCT-rich coconut oil to her diet and she has actually improved over the last twelve months. I thought I would try it myself, to make sure that it wasn't likely to cause digestive upset and to see if I noticed any effects. Nothing that I had read about trehalose had made me suspect that I would notice any changes in my mouth so they came as a complete surprise, particularly as I have had several treatments from the dentist including antibiotics and mouthwashes and these did virtually nothing. I am due to see the dentist again in the middle of January 2011 so I'll see what he says. Jay, this is a fascinating line of inquiry. I hope you'll be willing to tell us more. What led you to try coconut oil with your mother in the first place? What were the observed improvements in her condition? What was it about the success with coconut oil that made your think of trying trehalose with your mother? A link between coconut oil and trehalose is not obvious (at any rate, to me). Most important, how do you use trehalose yourself? If someone wants to reproduce your plaque-vanquishing results, exactly what should they do? I realize that is a lot of questions. Thanks in advance for whatever you're willing to share. So I am curious about potatoes as a substitute for grains in diets for healing dental decay. From what vie read about potatoes they are medium high to very high in calcium oxalate, which binds with the calcium in our body and can therefore be an anti nutrient. Does anyone have more info on whether potatoes can be a safe part of the diet in someone trying to heal tooth decay? Sorry to be so long in replying but, as I had a dentist appointment for Jan 13th (yesterday), I wanted my dentist to give his opinion first. He said that no way was all of the plaque gone from my teeth but in fact the amount present was about what he would expect to find 5 months after a descaling. He then proceeded to scrape a noticeable amount of plaque from my teeth. However at my previous appointment (AUG 13) my teeth had many times the normal amount of plaque, this is what had confused me. He suggested a change of diet was a much more likely cause of this reduction than the Trehalose. You will see that the fruits I ate on my starch-free diet are mostly high sucrose and the later ones moderate to low sucrose. The sucrose content of bananas varies continuously with the state of ripeness and the ones I eat (with many brown spots) are much lower than in the table. So my fruit intake was probably about a third of the previous level and the sucrose intake (I do not eat table sugar except sometimes 3g/day in 90% cocoa solids chocolate) around a tenth. As you can see in the table grapes and raisins are the only common fruit that is sucrose-free, I intend to eat more of them. Sorry to mislead you but we all need to remember that most common and tasty fruit is RICH IN SUCROSE and tropical fruits contain much more sucrose than fructose. Jay, thanks for coming back and providing an account of your experience. I remain interested in your comments on the queries I posed, and I'll be very grateful for any response you can make to them. Yes, I'm interested in the last one too, so I can try my own experiment. Trying new things, even unusual ones (maybe *especially* unusual ones) is how we learn things. Hi Stephen, I am regular coffee drinker (1-2) cups a day. I haven't seen you make any specific mention against coffee thus far. I know coffee is acidic, though not extremely so, and I don't believe there is phytic acid in coffee. Do you of any reasons to cut back on coffee if you are trying to focus on remineralization? Yes, for country folks especially, dinner often means lunch and they say "supper" for dinner. Even my family in Louisiana, but I grew up away from home and did not get into that habit. I don't think sugar necessarily causes decay from the outside of the tooth and I don't think just having it in the diet rots the teeth. I think letting it *displace* healthy foods in the diet is a big problem though, especially the more refined it is. You'd need to bump up your intake of B vitamins and certain minerals, at the least, and haven't I read someplace that excess sugar consumption messes with the actions of vitamins A and D in the body? Both are necessary to healthy teeth. If you follow a low-carb, high-protein diet but don't get enough fat, I would expect there to be some dental problems, not from any acidity but because you're not eating enough fat to support fat-soluble vitamin activity or to assimilate minerals. My daughter's got horrific tooth decay in her baby teeth which was blamed on "baby bottle mouth" but she was breastfed. Human milk is alive, contains white blood cells (not as pus but as a natural portion of the milk), and tends to fight bacterial contamination. Formula is dead and doesn't do that. She was on an antibiotic for vesicoureteral reflux for over a year, more like a year and a half, and we've heard that can cause tooth problems. I was also malnourished during my pregnancy and afterward, notably being short on vitamin A.
I'm scared to death we're not going to be able to do anything for her permanent teeth, which at least have not started coming in yet, not that I think that's necessarily a good thing. She's six as of November. I've heard that permanent teeth coming in late are a bad sign just as the cavities are. She's willing to eat some things that would horrify most six-year-olds, such as Japanese-style dried and salted fish snacks--literally, tiny fish dried and salted. Eyes and all. She also likes blueberries and cream, and butter on her bread (Ezekiel, wish I could be as excited about it as some people, they add wheat gluten to it now and I'm thinking about dropping it). Meat she's having a bit of a hard time with, it really depends. She likes summer sausage, though, which is good--usually it has organ meats in it. The last kind we got contained beef hearts. Good stuff. Still... I worry. The baby teeth are bad enough but she's only got one set to go--we're not sharks. Sorry this comment is so late but I'm new to the blog. What I'm continually wondering about is if phytic acid is such a huge anti-nutrient factor then why did Price have so much success with using whole grains? "Price's diet was not grain-free, but used rolls made from freshly ground whole wheat. Freshly ground whole wheat has a high phytase (the enzyme that degrades phytic acid) activity, thus in conjunction with the long yeast rises common in Price's time, it would have broken down nearly all of its own phytic acid." Five years ago, all three of my children had severe early childhood caries (ECC) starting at 18 months, each worse than the previous. Their diet was high in vegetables and whole grains, low in fat, & virtually no sugar at all. At that time I encountered Weston Price and eliminated the huge amounts of whole grain dry cereal we were having for breakfast and snacks, and switched from skim to whole milk. Those changes alone eliminated all cavities. Those children have not had any cavities in the five years since. The many they had stopped progressing. The abscesses they had stopped hurting. The abscesses remained in a stable, pain-free state until the teeth fell out and were replaced with strong, beautiful adult teeth. Their dental hygiene was 100% ADA compliant during the cavity years. It has gotten worse and worse in the years since, as they have gotten older and I'm not watching over them, and also, they never ever floss and we no longer use any fluoride at all. The cavities remain at bay. A final note is that my fourth child had even worse decay. I finally determined it was because MY diet was that of a sugar addict, ,even though I fed my children ideally. When he weaned onto the same diet they had, all his cavities were arrested, and despite the fact that only four of his teeth are whole (the rest are so deeply grooved they're nearly broken in half, or missing to the gumline), he has had no pain or progression in the two years since. And since getting myself away from sugar addicion (by continually increasing fat & protein, especially in the morning, and finally, by addressing leptin thanks to Dr. Krue), my fifth child is now in the Danger Zone (18-24 months is when the severe decay began fro all of them) and making it through!! Her teeth started getting grooves later than theirs did, and much, much more slowly, and when I noticed them, I fed her fCLO/BO/chocolate gel from Blue Ice every night. They haven't progressed since. In our experience, dental hygiene has no influence at all *if* the teeth themselves are strong. Witness the Swiss children Dr. Price studied. Fat-soluble vitamins, minerals, and no displacing foods such as grains & sugars, are the keys to our continued excellent dental health. Thank you for this excellent summary, which I will be passing on to many others. I just realized I missed an important note you made at the end - that this diet will not reverse advanced decay. No, it won't reverse it, but it can and will STOP it, and no professional work will be necessary if one is successful. A diet very, very high in A, D, K2, Ca, & Ph (which means it is necessarily low in the displacing foods of grains, sugar, fruit, etc.) will stop advanced decay. The best example is my fourth child, whose top incisors were completely gone outside of the gum. His molars were grooved so deeply it is shocking the half furthest from the gum still remains. Those teeth remain that way today, 2.5 years later, at 4.5 years old. I expect that when they fall out in a few years, they'll still look just as bad, and no worse. They haven't hurt him in years. The decay is completely arrested. At the beginning, when we first stopped his decay, if he went to Grandma's and got too much wheat and/or sugar (and thus, not enough butter, fCLO, etc. ), he'd come home hurting a bit. I'd fill him with vitamin C (to combat infection) and foods rich in tooth-saving nutrients and he'd be better in a day. As time has gone by and his nutrient stores have built up, this no longer happens, even with a week with Grandma. His decay is truly stopped. Not reversed, but stopped. His dentist has never understood what is going on or what we've done. She can't make any sense out of it at all, thinking it's all due to night nursing (he had night-weaned long before the decay got really bad). To her credit, however, she did support me in seeking solutions other than drilling & extracting, and told me, at a time when I never considered such an idea, that we could "wait and see" with the abscesses, and guided me in what to look for and how to respond should anything change. Thank you for the sharing of information. I found the information very useful. This is a great item you posted. I'll be back to read some more. One of the fantastic blog post. The term you advice about eating menu you have presented about its really great and child like this. After this there is no need the know how to pull a tooth or teeth are weak. Daily brushing is very important also. Thanks for your post. What are your thoughts on quinoa? Oh my gosh, I'm so glad I found this article. Thanks so much for sharing. My dentist in Des Moines, IA will lose work, but I am so glad I have found something that can prevent me from getting more cavities. It has seriously been a nightmare. My dentist calgary was telling my about the possibility of these sorts of solutions for the problems I am having with tooth decay so this will be great to try. I had a few cavities a year ago and I never wanted to go in and get them fixed. I eventually ran into a dentist in Farmington, NM and he told me that I needed to get them fixed. So I went in and I have to tell ya, it wasn't as bad as I thought it would be. Dental caries was rare in Europe until the 1840s when sugar became cheap and abundant. Prior to then only the wealthy (who could afford sugar) had decayed teeth. The poor ate a lot of grain and had little or no tooth decay despite a lack of basic oral hygiene. The teeth will automatically remineralise as long as the pH is maintained above 5.5. Anacardic compounds in cashew nuts and maybe mangoes do an excellent job of curing an abscess from gram positive bacteria, which are the most prevalent cause of tooth decay and tooth aches. It is conceivable that mango fruits may have sufficient anacardic acids as well. You may see my article on this subject at; http://charles_w.tripod.com/tooth.html . It is also discussed briefly in the 2006 edition of Medical Hypotheses, 65; 289-292. You may feel free to use any information in that URL without concern over copyright. I would like to urge you to explore making these medicines available in the pure form from pharmacies. This would be especially valuable since these medicines would probably prove to be valuable against other gram positive diseases such as acne, leprosy, streptococci, Chlamydia trachomatis, and maybe even tuberculosis as well. I've read that when consuming ascorbic acid (vitamin C) along with a food high in phytic acid, the ascorbic acid reduces the phytic acid load by some percentage. Have you seen any studies that prove this?